Along with a new poster, this weekend Paramount launched an attempt to save face from last year’s first trailer debacle with a more traditional sci-fi action film trailer attempting to hit all the marks detractors of the first trailer have long been hoping for. But what is this about? Is it really just an action-packed road race across the stars? 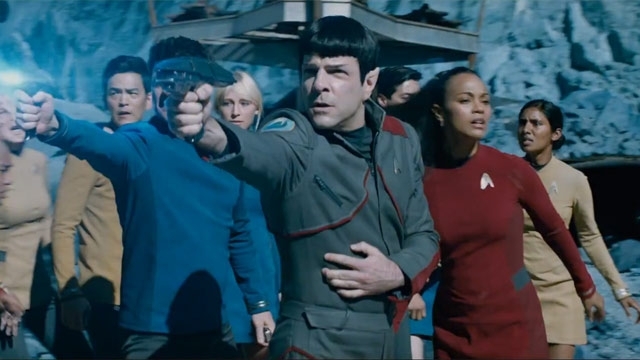 The first of the reboots–the 2009 J.J. Abrams film Star Trek–was a trek to the past. The 2013 sequel Star Trek Into Darkness looked back to the series’ most popular and possibly darkest villains. 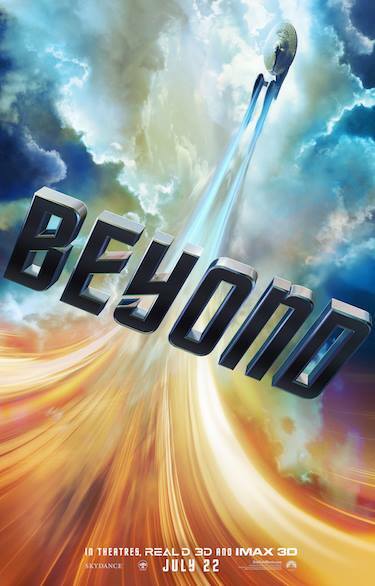 So what is the “beyond” in this year’s Star Trek Beyond? The preview doesn’t provide much of a clue. What does come through after about a dozen views and reviews is that the next Star Trek film, as with earlier Trek stories, looks back to earlier films for inspiration or all-out copying. A scene with the Enterprise in spacedock conjures the long, long scene where Scotty flies Kirk to the Enterprise in Star Trek: The Motion Picture. The Enterprise is ripped apart here evidently for good, harkening back to the destruction of the ship in Star Trek III: The Search for Spock. If we’re back in STIII territory, can we at least see Commander Kruge again? Please? The new trailer reveals a movie that appears to have more in common with Star Trek Nemesis and Star Trek Insurrection than any other past incarnation of Star Trek. It is difficult to look at the prosthetics on Idris Elba’s lead villain and not think of Star Trek Nemesis’s Reman warriors. And a planet-based story is something more along the lines of Star Trek Insurrection, Voyager’s “Basics” two-parter, and the original series episode “Arena”. Is there going to be anything new for Star Trek fans in Star Trek Beyond?